The longest side of a right triangle, opposite the right angle. 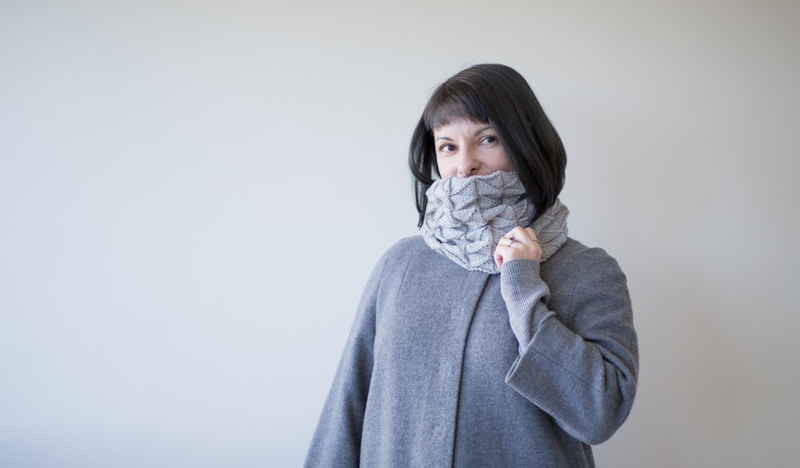 Knit with two strands of Staccato held together and a tight textured stitch pattern, this cowl is bouncy and resilient. The silken right triangles catch the light in an endlessly interesting way. 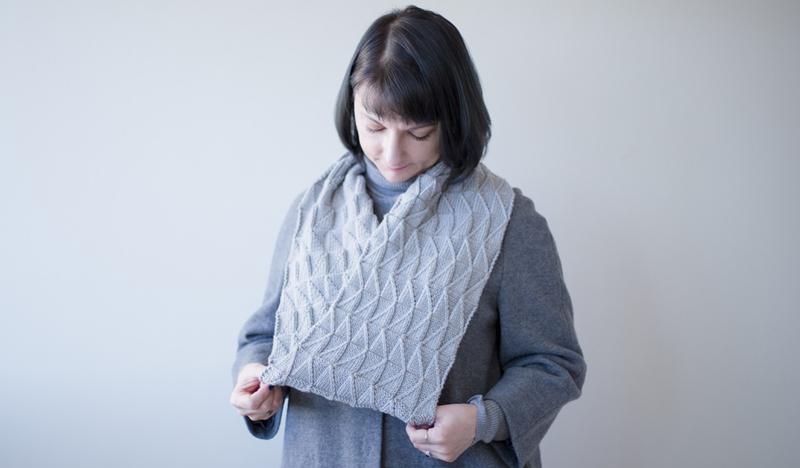 Knit flat and grafted to form a seamless loop, Hypotenuse is an excellent way to learn some new techniques while creating an eye-catching accessory. 26 sts and 34 rows = 4” in Hypotenuse pattern with two strands of yarn held together, measured after washing and blocking. 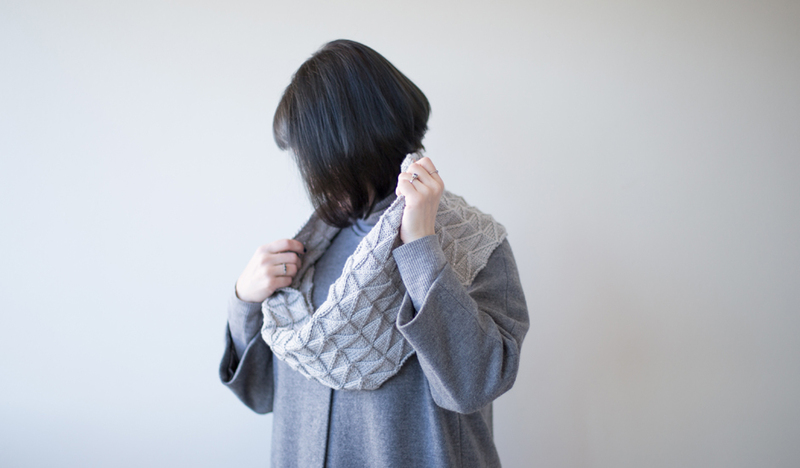 NOTE: This cowl is best left unblocked to preserve the texture. Only wash it when you must.